Our Founder Denys Darlow passed away aged 94 on Tuesday 24 February 2015. 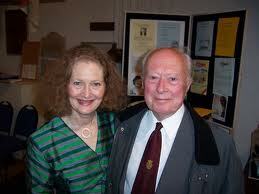 This page contains tributes to Denys and links to obituaries in the press and on other websites. The performance of the St Matthew Passion at the Tilford Bach Festival on 14 June 2015 was dedicated to the memory of Denys. A memorial concert for Denys was held at St George’s Hanover Square on 24 November 2015. Excerpts and tributes from the programme are HERE (it is a 10MB file). Denys Darlow, founder of both the Tilford Bach Society and the London Handel Society, had a love of music that was infectious to all who met him. His passion for the music of Bach and Handel and of many other composers spanning several centuries was clear both in his music-making and in the way he spoke. His great legacy is that the two festivals he founded continue to thrive after all these years. He was a musical pioneer. He and Dr. Paul Steinitz (founder of the London Bach Society) both championed Bach’s lesser-known works, especially the cantatas, for many years before the period-instrument movement took off in the 1970s. Denys also championed Handel’s music digging out scores that had been ignored for decades if not centuries. One of his favourite sayings, when talking about yet another neglected work, was: ‘It’s never done, you know!’ He did so much to change that. Denys brought some of the best musicians in the world to Tilford, a tiny village in the Surrey countryside, but it was also important to him to nurture young talent and he gave opportunities and encouragement to so many who have gone on to great things. He did this also in the London Handel Festival through the annual opera performances at the Royal College of Music with students from the opera school singing all the major roles supported by the professional forces of the London Handel Orchestra in the pit. Above all, his sincerity and conviction were evident both in his music making and in his Christian faith. My abiding memory of him is of his passionate singing and conducting of the final hymn, ‘Now thank we all our God’, at the end of the Good Friday performances of the St. Matthew Passion at St. George’s, Hanover Square. He meant and loved every word of it. I shall always be grateful to Denys for transmitting his love of Bach, And also for the T.B.S. , not only as the Festival, but also for the wonderful, varied regular monthly concerts ,which we can now enjoy as ” Members` Evenings” for most of the year. Much Sympathy to his family in their great Loss. St Thomas’s Church: the event, preparations for that evening’s concert. How was sufficient room to be made for the choir beyond the chancel rail? If only we could move the altar table back to the wall, that would give us a foot or two, but surely it was unthinkable. As I stood asking myself ‘if only’ along came Denys, by no means in his first youth, and, with practised ease, took hold of one end of the table and heaved it over. So I followed suit at the other. 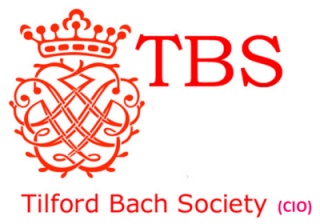 It was Denys and the Tilford Bach Society that first gave me the opportunity to hear the great B minor Mass and the Passions live around 1980. I remember one occasion when Denys spent an evening telling us about the different pieces of music that had influenced him most and if I recall correctly it was one of the slow movements of one of Bach’s violin concertos that had made a very strong impression. 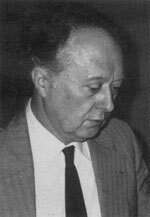 I also remember attending the first performance of Denys’ own composition Stabat Mater, which seemed to draw together many different and diverse threads of Christian faith and tradition. I never had the opportunity to talk with him personally but with the creation of Tilford Bach Society and the London Handel Festival he seems to have been the leading entrepreneur of the baroque music movement and we are all much in his debt. Long may the fruits of his labours continue to be enjoyed by the many people whose lives he touched.